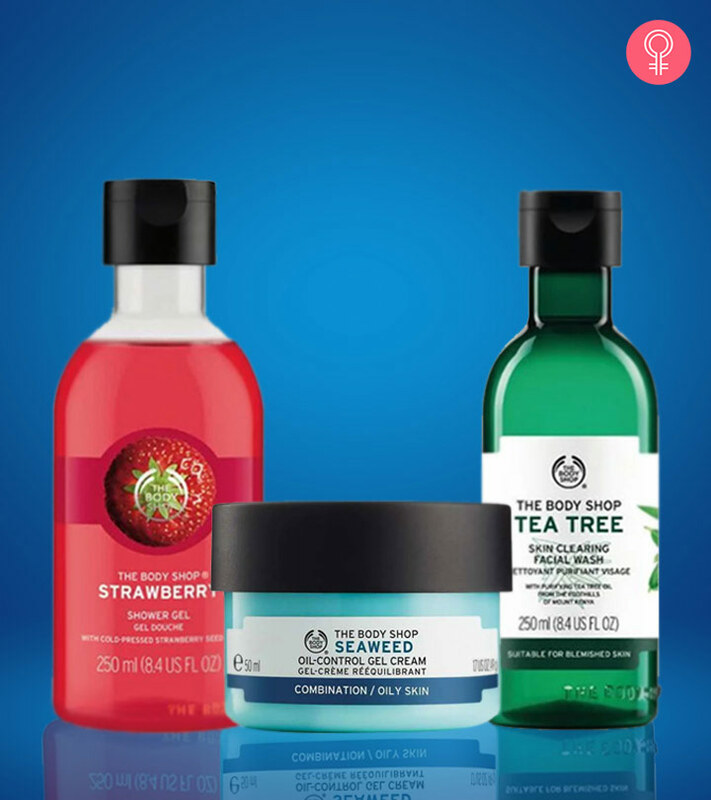 The Body Shop is a cult-favorite brand that has made a name for itself all over the world. They sell a wide range of great quality products that are made using natural ingredients and cater to many different skin and hair types. The brand’s stance against animal testing for every one of their products makes them even more impressive. We have compiled a list of their most popular and effective products available in India. Check them out! This refreshing gel-based face wash combats existing blemishes, prevents them from popping up again, and controls oil and shine. It is infused with purifying tea tree oil sourced from the foothills of Mount Kenya. This mild face wash protects your skin from multiple skin problems, such as acne, blackheads, and whiteheads. It also improves the radiance and natural balance of your skin. The Body Shop Strawberry Shower Gel is a soap-free body wash that is made using cold-pressed strawberry seed oil and Ethiopian honey. This nourishing gel cleanses the skin gently, making it soft and supple. When used with a loofah, it creates a rich and fragrant lather, which leaves behind a lingering scent of fresh strawberries. 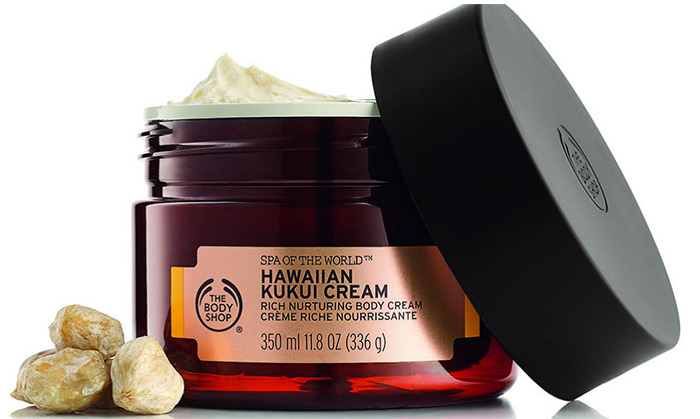 The Hawaiian Kukui Cream from The Body Shop’s Spa of the World line is a nourishing body cream that moisturizes your skin intensely to leave it smooth and glowing. Its creamy texture quenches dry skin, especially during the colder months. Kukui seed oil is rich in essential fatty acids, vitamins, and linoleic acid that hydrate the driest of skin. 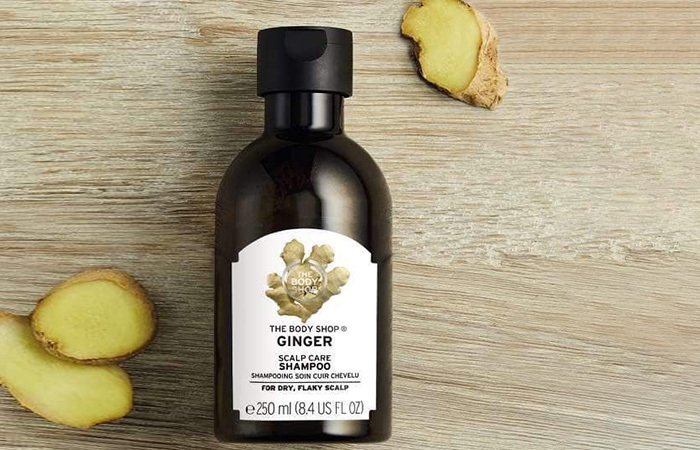 The best-selling Ginger Scalp Care Shampoo from The Body Shop cleanses, refreshes, and soothes dry scalp and gets rid of dandruff flakes. It contains ginger extract, birch bark extract, and white willow extract. Its formula is also enriched with Community Fair Trade honey sourced from Ethiopia. This shampoo removes dandruff effectively without drying out your scalp, leaving it calm and nourished. 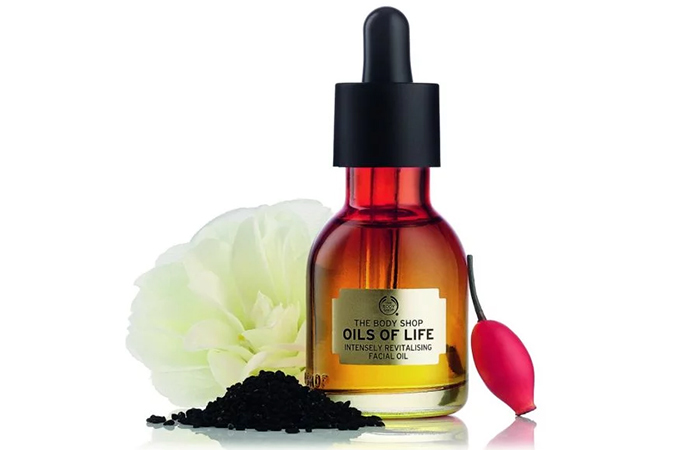 The Body Shop Oils Of Life Intensely Revitalizing Facial Oil provides generous hydration to give you softer, smoother skin. It works instantly to improve your skin texture. This lightweight formula is infused with black cumin seed oil from Egypt, camellia seed oil from China, and rosehip seed oil from Chile. It brightens your skin and evens out your skin tone. 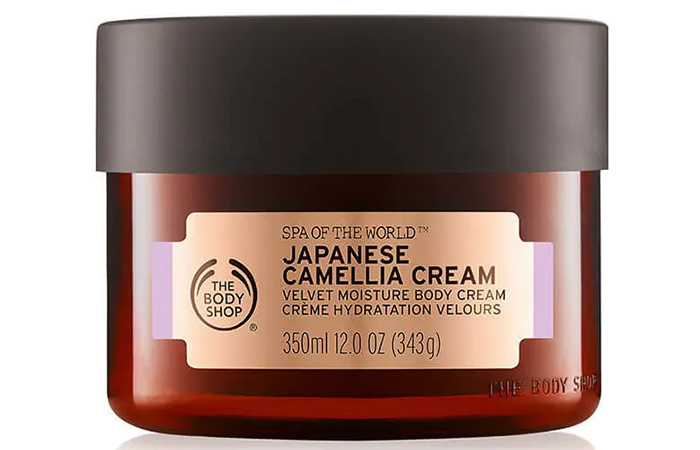 The Japanese Camellia Cream from The Body Shop’s Spa of the World line is a subtly fragranced body cream that leaves your skin feeling velvety soft and moisturized. It is enriched with camellia oil from Japan, where women have been using it since the 8th century to moisturize their skin. The fragrance of the camellia flower relaxes your mind as you apply this luxurious cream. 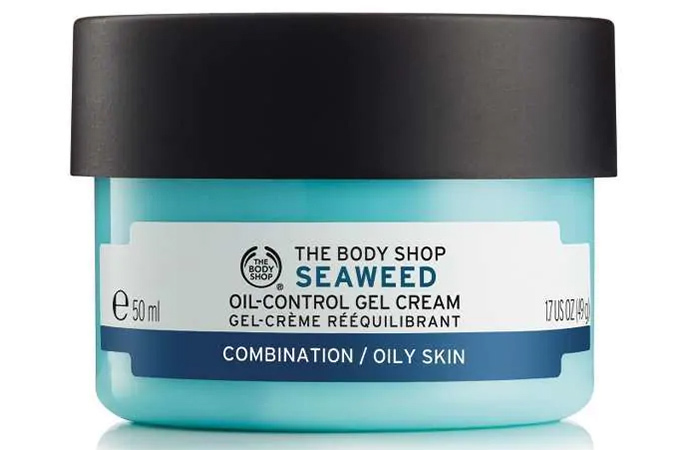 The Body Shop Seaweed Oil-Control Gel Cream is an oil-free facial moisturizer that will leave your skin feeling fresh, clean, and soft. It gives you a shine-free, matte complexion without clogging your pores. Its lightweight formula helps to balance oil and excess sebum. It is made using mineral-rich seaweed from Roaring Water Bay, Ireland. 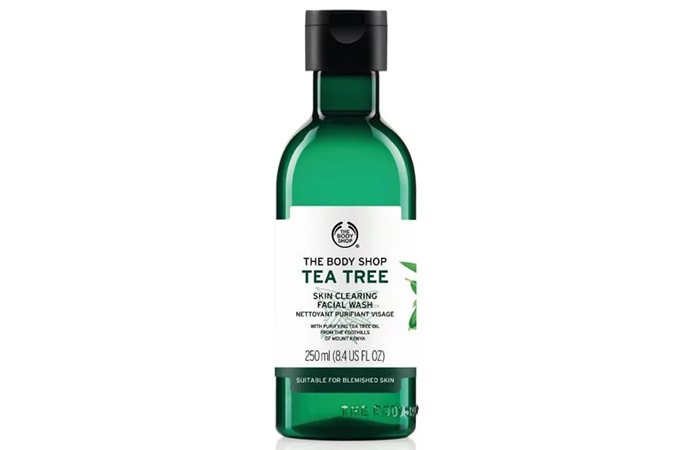 The Body Shop Tea Tree Oil is a concentrated purifying oil that is ideal for blemish-prone skin. It has been clinically proven to give clearer looking skin within a week. This oil helps remove impurities from the skin and gives it a matte effect. 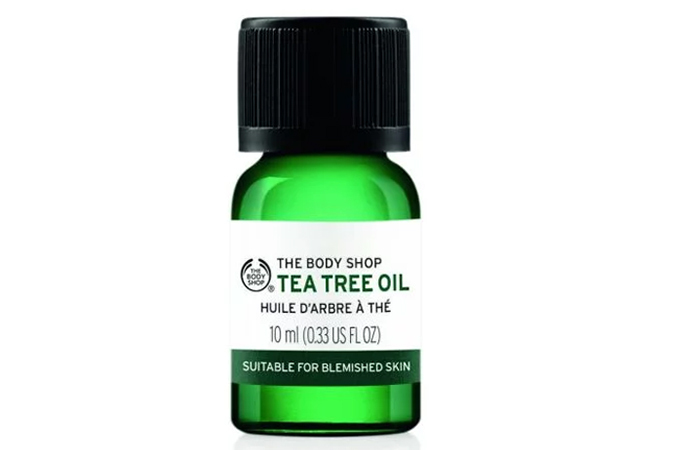 The Body Shop uses Community Fair Trade tea tree oil for this product that is sourced from the foothills of Mount Kenya. 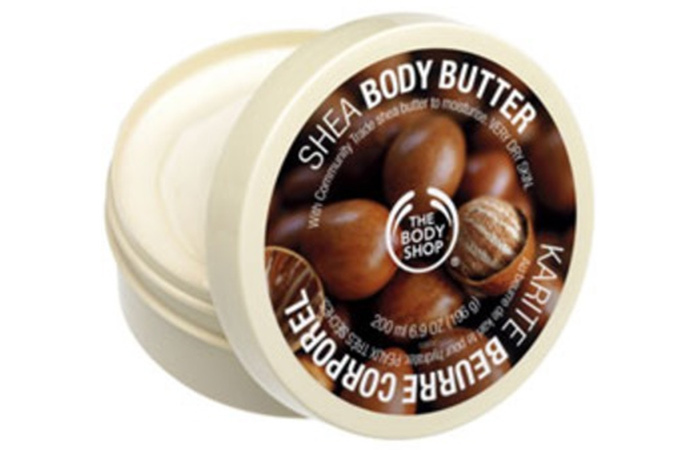 The super-rich and creamy Shea Body Butter from The Body Shop is a feast for your skin. It melts immediately upon application to leave your skin feeling soft and smooth. It is made using Community Fair Trade ingredients: shea butter from Ghana, beeswax from Zambia, and babassu oil from Brazil. It is one of the most popular moisturizers from The Body Shop, and it has a delicious nutty fragrance. 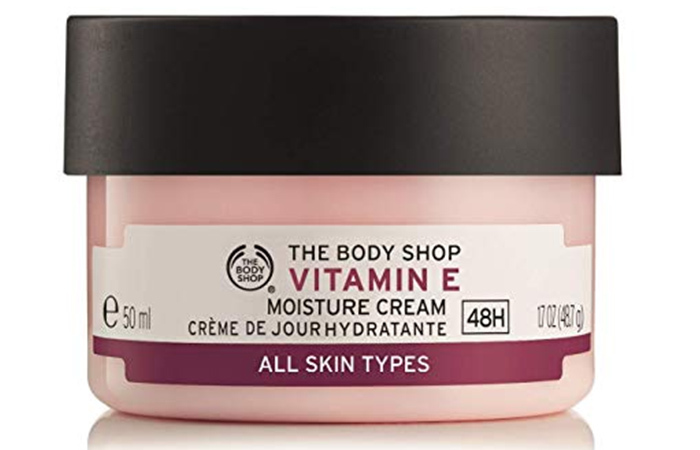 The Body Shop Vitamin E Moisture Cream is enriched with vitamin E that prevents premature aging and protects your skin from free radical damage. It is a lightweight moisturizer that reduces the loss of elasticity and slows down the emergence of fine lines and wrinkles. It also locks in moisture to give you all-day hydration. 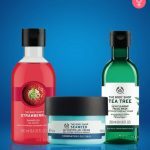 It is difficult to find a brand that matches the popularity and reputation of The Body Shop. Go ahead and try out some of these products to pamper your skin. You will then understand what the fuss is all about. Let us know about your experience using them in the comments section below.